RAP is approaching its second major release in its 6 year history, and major releases should be accompanied by major new functionality – at least this is our take on versioning. Implementing clients in other languages has become possible with the introduction of the RAP protocol, which standardizes the synchronization of objects between the RAP server and its client based on JSON based messages. The protocol does not only enable clients in other programming languages, it also opens the door to a new class of applications – applications that need to address a wide range of hardware from desktops to specialized devices (e.g. mobile data entry or point of sales solutions). Or applications that require an integration with attached hardware devices. We think that this is a major new achievement for RAP warranting a major release – and a feature that sets RAP apart from other frameworks. My colleague Ian Bull created a proof-of-concept implementation of a native SWT client. This is interesting because SWT already implements support for 14 platforms. The creation of the proof-of-concept took only a single day using our Android implementation as a template. If you want to get your feet wet and implement a client for another platform the only thing you need is the latest milestone build from RAP. If you need help, existing code or a partner for the implementation, just contact us. So can i sync any object graph between server and client or is it optimized to SWT controls and the client has to have an SWT-like-API implementation? More concrete can one do something like Canoo does with https://github.com/canoo/open-dolphin e.g. writing an JavaFX-Client? 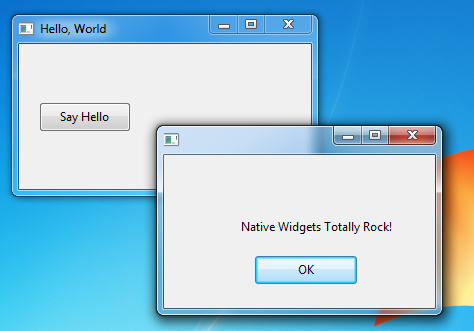 You could easily write a client in JavaFX (I was debating that last week when I wrote the SWT one). You just need to implement the client side of the RAP Protocol (which is simply JSON). You could implement the client in C# with a MetroUI, or even a C client that uses NCurses. Ian, do I not need both a stub version on the server e.g. SButton where e.g. my action handler is attached to and on the client a CButton which calls out to the FX-APIs? I’d really like to take a look at this in conjunction with JavaFX. Hope I have time to play with it soon. In general you can sync any kind of object, you can get an idea how that works looking at the code for camera support (in Tabris). The camera is not an SWT widget. The RemoteObject API will become available in RAP 2.0 M4. 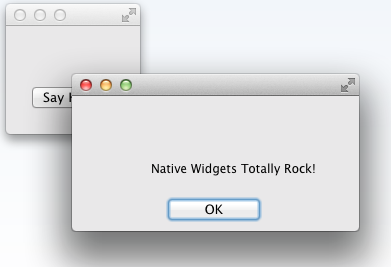 However, providing an entire widget toolkit for JavaFX based on this infrastructure will be a significant amout of work. 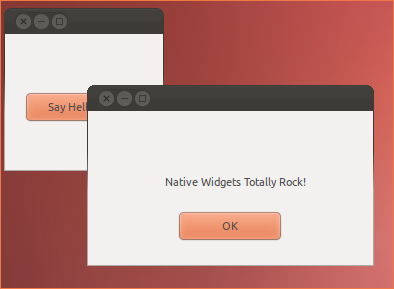 Displaying SWT widgets remotely in JavaFX and adding widgets that don’t exist in JavaFX (thats what Ian is talking about) would be much simpler. I have an RCP application which is embedded as RAP application.